I read this article and found it very interesting, thought it might be something for you. The article is called 10 Winter Skin Care Tips and is located at https://homemademasks.net/homemade-beauty-treatments/10-juicy-solutions-winter-skin-care/. 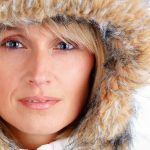 It is essential to know how to properly care for your skin in the winter. 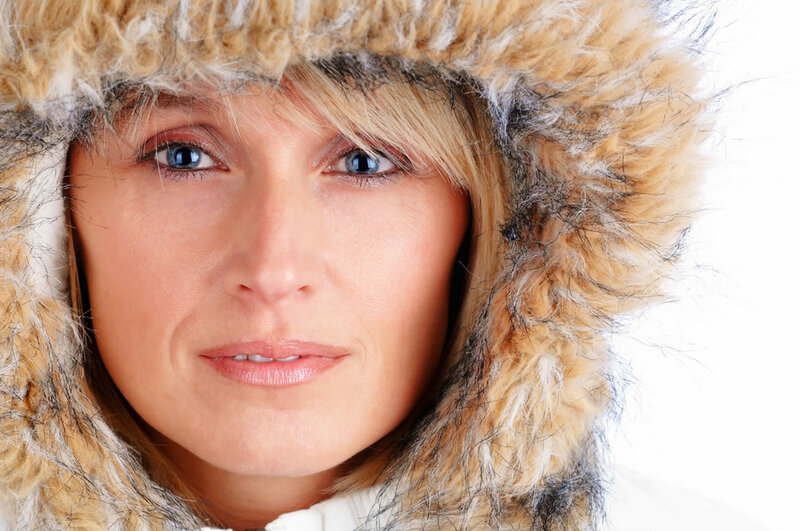 The cold weather, strong winds and sudden temperature differences can dry and prematurely age your skin. Although you may think you have a good skin care ritual the truth is your skin becomes drier, more sensitive, and even irritated in the cold winter months. You may even stick with the same skin care regime that seems to work for your skin during the rest of the year but it will not offer protection for your delicate skin in winter time. So please don’t accidentally damage your skin. Instead follow my 10 simple tips to ensure you look radiant all year round. Like me, you might be tempted to take long hot baths when you want to relax after a long, hard day at work. However, you need to be aware that hot water dries out your skin while stripping it of its natural oils that protect it. So instead of a hot bath I recommend you take short showers using lukewarm water. However if you still feel like you want to pamper yourself with this winter delight add a few drops of essential oil (essential oil of geranium, sandalwood, ylang-ylang or jasmine work best). This will make sure you prevent this type of skin dehydration. The first thing I want to do in winter is to wrap myself in layers of comforting and cosy clothes. I know I need to select soft fabrics that don’t irritate my delicate skin, particularly round my neck. This means you need to spend a little more on a better quality scarf but your skin will thank you! I also use several thin layers of clothes, topped off with a very thick coat. This prevents me overheating as it can make my skin irritated and itchy. If you are prone to eczema you should avoid direct contact with wool garments – especially scarves and gloves. If you really must wear that cool new jumper then make sure you wear a long sleeve cotton top underneath to prevent skin damage! Most of us know how important exfoliation is for our skin. However during winter, I avoid exfoliating too often, as my skin tends to dehydrate faster. I recommend you do the same as your skin will be dryer anyway, due to central heating. When you exfoliate use a natural scrub such as the ones you will find elsewhere on this website. Oh, and always apply a moisturizer after. In summer we all tend to apply products that contain alcohol, such as perfume. However in winter these products affect the protective barrier of your skin. Skin cells lose their ability to hold water which makes your skin really dry. Try to avoid using strong cleansing gels or solid bars of soap that contain strong detergents. Also try not to use perfumed cosmetics which can dehydrate the surface of your skin, leaving it very dry and irritated. I recommend you use a creamier cleansing gel that does not contain perfume for your specific skin type. You may think it is a waste of time using creams and moisturizers with in inbuilt SPF. You are wrong! UV rays penetrate clouds and the sunlight is reflected and amplified by the snow. This causes the same issues you experience in summer. Coupled with colder weather and naturally dryer skin this can actually cause as much damage as you would get during the summer months. This is why I always make sure I am using cosmetics with an SPF – whatever the season. The skin on your face is 16 layers deep but your lips are only 5 – making them far more sensitive to the cold winter weather. To protect them I moisturize mine before they crack by using a lip balm or lipstick with an inbuilt SPF regularly. I suggest you also apply a highly moisturizing lip balm several times a day even if you do not necessarily feel you need too. After all prevention is better than cure! Just like your complexion your hands need a lot of care during the cold weather. It’s worth the effort though, as the winter can dry your skin giving you ‘old lady’ hands which will age you. If you haven’t been caring for your hands the good news is that their appearance can be improved in just a few days. Start by buying a good quality hand cream. They tend to be thicker and more moisturizing than face creams. Carry the cream with you and apply it often to hydrate your skin – particularly if your hands have been wet. Washing your hands strips the skin of natural oils so it is essential that you use a highly hydrating and nourishing lotion to protect them. Next, protect your hands with warm gloves made of natural fibers and with a pleasant texture. These simple tips will ensure your hands look healthy all year round. Even though your feet are inside cosy socks and big boots during the winter months you still need to look after them properly. Thick socks can cause your feet to sweat leading to infection or fungus. Your brand new winter boots can cause corns or blisters that look unpleasant, and can be very painful. If you want your feet to be soft and smooth you need a regular foot care regime. Remember too nourish and moisturize your feet thoroughly. Opt for creams enriched with vitamins E and F and vegetable oils. You’ll feel so much better knowing that you take care of your skin from head to toe! During the cold winter months everyone switches the central heating on. It’s great to be warm and toasty but the heating causes the humidity level to drop which will not only affect your health but also dry out your skin. In order to prevent this, one solution would be to buy an air humidifier. This can be expensive but there is another way. Decorate your house with plants. Not only will it look prettier but it will also help oxygenate the air inside your home. Alternatively try filling a bowl up with water and placing it near a radiator. In summer we all feel the need to drink plenty of water but in the winter time this is just as important. In winter I tend to eat more and drink fewer liquids than I would normally drink. Make sure you take a bottle of water with you everywhere. Take it to work, and even when shopping. Sip regularly, even if you don’t feel thirsty. Drink water before eating food. It will suppress your appetite meaning you will eat less as well as hydrating your body. If you find water boring try a ‘no added sugar’ fruit squash. You consume less calories than soda while enjoying a sweeter taste.